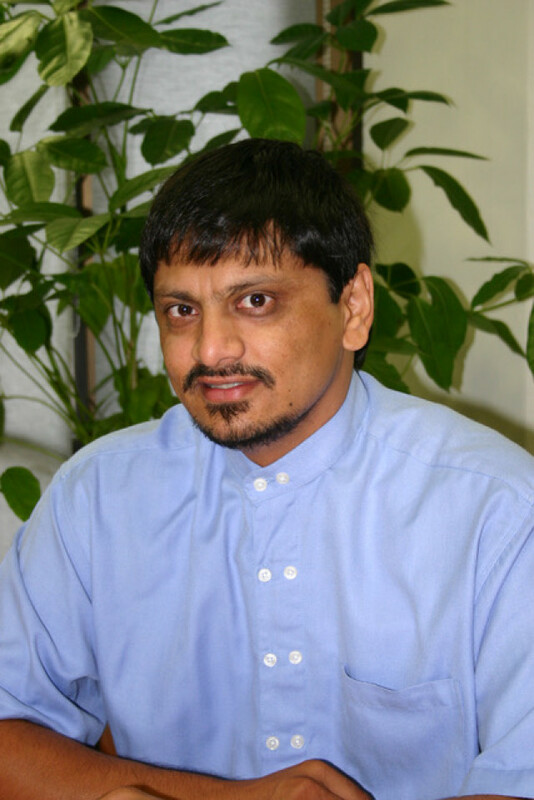 Anil Kanjee is a Research Professor at Tshwane University of Technology in South Africa. He is also an Expert Advisor to the Laboratory of International Assessment Studies. We asked Anil about his experience and views on learning assessments, with a particular focus on PISA for Development, PISA in the African context, and large-scale assessments in South Africa. Could you tell us a little about your background and how you got involved in learning assessment? I grew up in small town on the East Rand mining belt, reserved specifically for South Africans classified as “Indian”. I was forced to attend an “Indian” only primary school, an “Indian” only high school, and an “Indian” only university. Looking back, issues of assessment negatively impacted every person, every child in apartheid South Africa. Socially and politically, it affected where we lived, who we interacted with, careers we could enter, where we worked and even the composition of our families. Educationally, it impacted on which schools we entered, what exams we wrote, and at which colleges and universities we could study. My schooling and undergraduate years can best be described as “exciting”, although there was limited time spent on learning and teaching given the turbulence of the 70s and 80s – boycotts, student strikes, political meetings, community campaigns, protest marches and clashes with the police. However, throughout this time, I was deeply aware that education was the key to personal, social, political and economic change and that it was critical for the new democratic South Africa. Entering the teaching profession was a natural career choice. I graduated with a teaching degree specialising in computer science and psychology. However, my application for a fulltime teaching post was turned down, and I decided to pursue postgraduate studies. It was during this time that my passion for research methods, statistics and psychometrics emerged, and I knew that I would have to go abroad for any further studies. I am still grateful for getting a scholarship to study overseas. I was accepted into the Research and Evaluation Methods Programme at the University of Massachusetts, where I studied under the guidance of Profs Hambleton and Swaminathan, two of the foremost scholars in the field of measurement. This Programme also provided access to educational opportunities that were not possible in apartheid South Africa and allowed me to interact with scholars from all over the world. When I returned to South Africa, immediately after the first democratic elections, it was clear that the key challenge in the post-apartheid education system was that of education equity and quality. There was a dearth of information on learning and how to assess learning, both at the classroom and the system levels, especially with regard to poor and marginalised children. It is within this context that that I was recruited by the Human Sciences Research Council (a national education think-tank) to develop a research programme to support the development of the education system in the “new” democratic South Africa. In practice, this meant supporting all teachers, in poor and in wealthy schools; to identify and address the specific learning needs of all children. And the first challenge was to develop effective assessment systems to obtain information on the performance of the system and the specific needs of teachers and learners. However, we first had to address the strong, and justified, negative perceptions of testing given the abuse of testing that characterised the apartheid era where IQ tests were used to justify racist policies or to select compliant employees within industries. During this period, we contributed to the UNESCO-UNICEF led Monitoring Learning Achievement in Africa study, supported the Education Department to implement the seminal national assessment study in South Africa, and embarked on numerous capacity development initiatives to enhance the skills base in testing and measurement. We also implemented the TIMSS studies and I served as the South African representative on the IEA General Assembly. As exciting as our seminal work was, it was becoming clear that these new practices and programmes were entrenching systems and practices within the education sector that characterise performativity regimes. Evidence of this emerged from the many districts and schools that abandoned teaching for long periods to prepare for national assessments in order to improve rankings. Simultaneously, for the end-of-schooling Matriculation exams, schools often held back learners, or registered them as private candidates, or forced them to take specific subject choices to improve pass rates and national rankings. And perhaps the worst consequence was the abandonment of formative assessment/assessment for learning approaches despite the strong policy focus on this area. This realisation led to the extension of my research in the area of assessment for learning/formative assessments, the development of effective and enabling assessment systems, and teacher professional development, with a specific focus on supporting learning among poor and marginalised children. What are some of the biggest educational challenges faced in South Africa and other African contexts with which you are familiar? I think that the key challenge is one of equity and quality. But this is not a trade-off, both issues are equally important, as no education system can be said to be effectively functioning if both these issues are not addressed. A quality education is by definition one which is equitable. At the level of schools, the key challenge is supporting teachers to identify and address specific learning needs of ALL children, especially the poor and the marginalised, while at the system level, the challenge is supporting decision makers to improve teaching and learning. Within this context, the value and use of assessment is critical. What role can assessment – national, regional and international – play in responding to these challenges? I think that Large-scale assessments (LSAs) can play a vital role in enhancing appropriate policies and practices to improve education systems. However, the value and use of these studies vary widely between countries, especially between developed and developing nations. In some countries these studies are often reduced to technical, data collection exercises while other countries invest heavily in using assessment data explore relevant education questions. Key factors impacting on the differential use of these studies include political will and support, perceptions of relevance to national issues, financial resources and available technical expertise. Within this context, we need to look at assessments more comprehensively within countries. We need look at the effectiveness of existing assessment system(s) and the extent to which the different components of an assessment system – i.e. classroom, examinations, national/international and/or school evaluations, support improvements in learning and teaching. Specifically, we need to understand how these components function and impact on each other – at the classroom, school, district, province/state, national, level, and how the system impacts learners, teachers, parents, school leaders, education officials and the general public. An important issue missing in most debates about large-scale learning assessments is their potential impacting on teachers’ pedagogical practices, especially since the primary goal is to improve learning for all. However, the current reality in many countries is that these studies are used primarily for accountability purposes, with limited use for addressing issues of learning and teaching in schools. In your opinion, why have so few governments opted into PISA in the African context? What are the limits and strengths of a programme like PISA for Development in Zambia and Senegal, which have opted to participate in PISA-D? It’s difficult for me to comment on PISA in particular, given my limited involvement. However, the obvious point needs to be made that assessing learning is not the same as improving learning. Also, current evidence on how these studies can be used to address the learning needs of poor and marginalised children is limited. Moreover, debates on decolonisation are increasingly impacting on the education sector as many developing nations seek local and more relevant solutions to reform. These issues are certain to affect decisions about participating in International Large-Scale Assessments (ILSAs), especially given the dominant influence of developed nations on these programmes. For me, the strength of any ILSAs should be evaluated by considering the extent to which the countries’ participation leads to reforms that address the challenges of equity and quality. However, one also has to recognise that these benefits vary widely between countries and go beyond educational reasons – there may be political, social, economic, or any combination of these factors that influence educational reforms. Regarding the limits of these programmes, I think that ILSAs still struggle to attain “true comparability”. Given the vastly different education systems being compared, there is growing realisation/acceptance, that it may not be possible/desirable to compare ‘everyone’ at the same time. I also think that we are still not clear on how best to assess learners and learning in a more holistic manner. For example, undertaking assessments that go beyond maths, science and languages to incorporate other subject areas or assessment of non-cognitive aspects. You have been actively involved in the debates around national assessments in South Africa. What are some of the key features of a useful national assessment program? How are they most effectively used in policy and in practice? Clarity on how assessment systems can be used to support teachers to improve pedagogical practices so as to address the learning needs of ALL children, especially the poor and marginalised children. Buy-in and active participation of key role-players, specifically, teachers and teacher unions, relevant education departments and researchers/research organisations. On-going professional development for teachers, school leaders as well as ministry officials to effectively use results of these assessments at all levels of the education system. In this regard, it important for countries to also develop capacity within the research and academic sectors that can support education ministries. Prioritising systems and practices of support that address the challenge of equity and quality over accountability. Ensuring alignment between different components of the assessment system, i.e. classroom, examination, national/international and school evaluations, to enhance the positive impact on learning and teaching. Based on your knowledge of Large-Scale Assessments in lower and middle income contexts, what advice would you give to governments that choose to participate in ILSAs and Regional Large-Scale Assessments? Giving advice to governments should always be done with caution. However, I would argue that countries should take a “small steps approach” – that is, to proceed slowly.I think that countries should first seek to use and strengthen existing assessment systems to ensure that these are effectively used to support improvements in learning and teaching. Ideally, classroom systems, focussing on the formative use of assessment should be the starting point. Also many countries have functional exam systems, but often make limited use of information from exams to support learning and teaching. Countries can build the required capacity within these existing systems and then explore other components like national or international assessments. I also think that countries should be clear on how participation in a large-scale study is aligned to and supports existing programmes and policies. It is especially important to ensure that the implementation of new forms of assessment does not result in negative consequences.Before any decisions are finalised, I think that countries should: (i) be clear on what new information will be gained and how this information will be used to support improvements in learning and teaching, especially for poor and marginalised learners and schools; and (ii) have systems in place to monitor and evaluate the value these large-scale studies, so as to determine whether continued participation still benefits national interests to reform the education system. Learning, learner rights and learner voice across different poverty quintile schools. Enhancing the use of classroom and large-scale assessments to improve learning for ALL. Developing models of teacher professional development to address equity gaps in schools. Monitoring and evaluation of education systems, programmes and projects.